Does anyone remember the 1970s craze of painted pasta characters wall art? I remember having a couple of characters in our house, not sure what the characters were though. I wish I had a photo. I recently found this macaroni or pasta duck. I can’t seem to find what this was called. I am sure it was a 1970s trend. Anyone else remember it? Any information would be helpful. 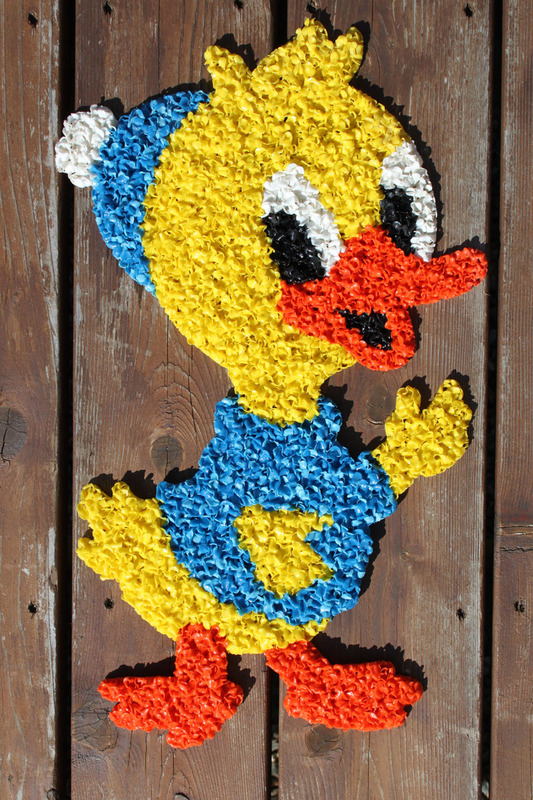 This entry was posted in Junkin' Pickin' Finds and tagged pasta duck by Karen Grosz. Bookmark the permalink.